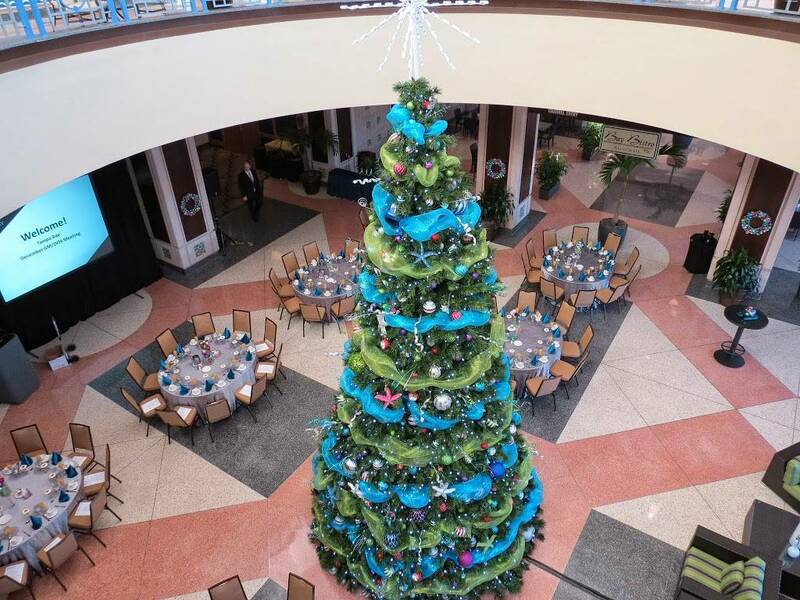 Last year, Downtown Decorations teamed up with the Tampa Convention Center to create a one of a kind Christmas display. The 600,000 sq. ft. convention center, which is located on the waterfront in downtown Tampa, Florida, hosts everything from conferences to international exhibitions to green events. Officials contacted us because they wanted a holiday décor item that would be truly unique to the center. The center planned on using some previously purchased ornaments, ribbon and décor items but needed the canvas to create their exceptional holiday display. We provided them with a huge 22 ft. tree and a giant 4 ft. snowburst topper to complement their design. We think the collaboration turned out great!